Video Premiere: DEE SNIDER's 'American Made' – Music World! “American Made”, the new video from TWISTED SISTER singer Dee Snider, can be seen below. 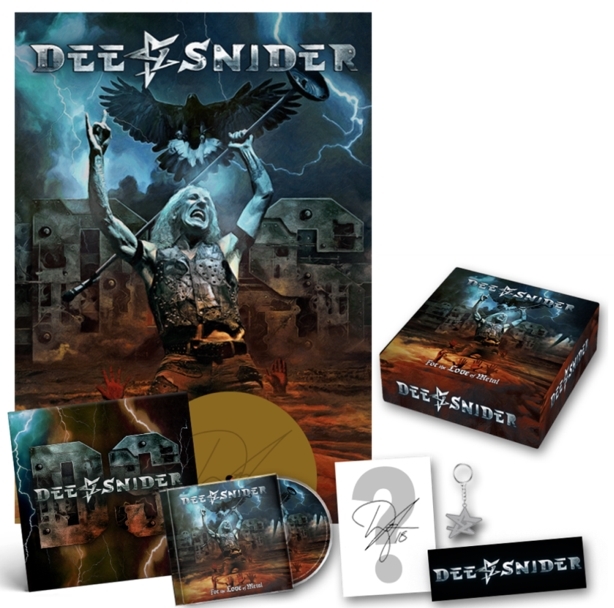 The song is taken from Dee‘s latest solo album, “For The Love Of Metal”, which was released on July 27 via Napalm Records. The disc, which was produced by HATEBREED vocalist Jamey Jasta, features contributions from Howard Jones (ex-KILLSWITCH ENGAGE), Mark Morton (LAMB OF GOD), Alissa White-Gluz (ARCH ENEMY), Joel Grind and Nick Bellmore (TOXIC HOLOCAUST), and Charlie Bellmore (KINGDOM OF SORROW). Jasta previously described the LP as a “full-on metal album,” adding that “people are gonna lose their minds when they hear this.” He also called Dee “one of the best vocalists of our time” whose “voice is up there with Ozzy [Osbourne], [Ronnie James] Dio, [Bruce] Dickinson and [Rob] Halford to me. “And it’s as powerful as ever!” he said.